BASKETBALL: Kev Broome Stadium has a fresh look after court resurfacing work was completed this week. The yearly project, which cost $6500 to complete, was necessary before the Port City Power's home game against Toowoomba on May 12. 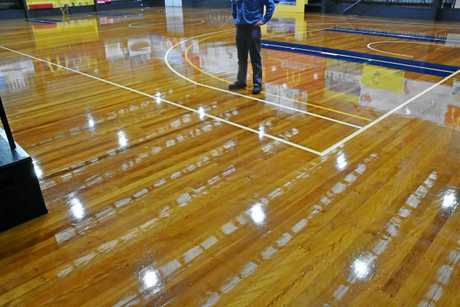 Gladstone Amateur Basketball Association president Ashley Wilmot explained the process involved in making the surface shine like new. "The guys came in with a machine with a scouring pad on it where they take the top surface off and scuff it up,” Wilmot said. "They lay a new surface on top with a lamb's wool applicator to brush (the lacquer) on and it sets like glass. "They finished the job in one day but it takes five to seven days to cure. The resurfacing work should also ensure players won't slip as much on the court. 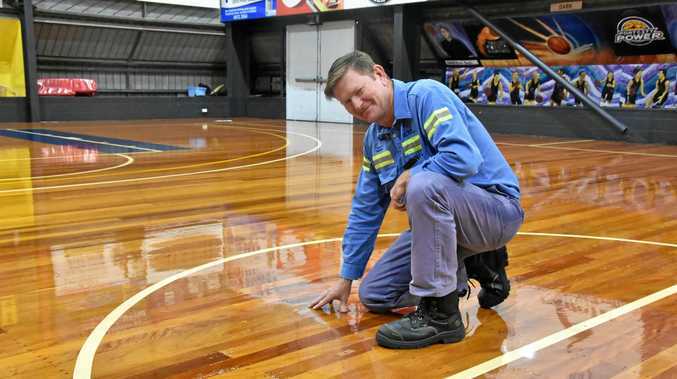 "We've had issues with dew settling on the floor which makes it slippery,” Wilmot said. The outside court is also undergoing a makeover which will extend the arena closer to the PCYC carpark, while providing better drainage and landscaping. The outdoor backboards and rings will also be replaced - much to the delight of your (below) average Tuesday night player, like myself.